“The Majority Leader just demonstrated on live TV to the American people why he has the worst home state approval rating of anyone in the Senate and needs to step down. Mitch McConnell’s belly-aching about all the time it takes to approve Presidential personnel doesn’t hold any water when 1) every other Senate before his has managed to do this in a timely manner, and 2) his Senate works an average of 2.5 days per week. “Mitch McConnell is good at two things: making excuses and going on recess. He callously deflected blame onto his colleagues for his own laziness, lack of leadership, and lack of results. 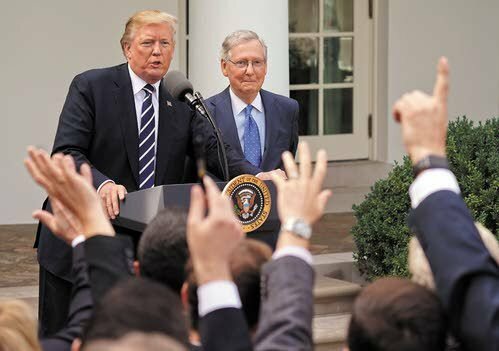 ‘Winners make policy; losers go home’ may make for a juicy soundbite, but Americans know that McConnell hasn’t made any policy since winning the majority. Republican donors and activists alike have lost patience with his empty promises and meaningless rhetoric. Ditching Mitch is gaining steam, hence the need for the acting job McConnell put on display today.